Worried about global warming, or how we can conserve species for generations to come? You might be a future environmental scientist and should pursue a Best Online Bachelor’s in Environmental Science. Environmental Science is the exciting field of science pertaining to ecology, wildlife biology, natural resource conservation and management, and any other topics related to the vast and diverse world we live in. You’ll work in the lab as well as in the field, and use your skills to better the ecological world around you. If you enjoy exploring the relationships between all organisms and how those relationships impact the global community, an Environmental Science degree might be the degree for you. A degree in Environmental Science allows graduates multiple opportunities for career specialization and personal exploration. While most degrees offer endless pathways, most students will begin by earning a basic undergraduate degree that includes courses like ecology, chemistry, geology, and biology. As an Environmental Science student, you will also begin to demonstrate your knowledge in these topics by extending them to real-world environmental issues in the field and lab. Upon graduation, you will be prepared to work in a variety of fields, such as renewable energy, wildlife conservation, or environmental engineering, as well as to explore further studies. How much can you earn with an Environmental Science degree? Average earnings of Environmental Science graduates vary. Most earn at least $69,400 per year, with the highest paid professionals working for the federal government and in engineering services. Other well-paid individuals are those working for local governments or in consulting. Environmental Science fields are facing increasing demands as the public becomes more interested in environmental protection. As our global population grows and more stress is placed on the environment, we need professionals to help analyze environmental problems and to respond to potential issues. As a result, graduates have good job prospects with an estimated 11 percent growth by 2026. What is required for an Environmental Science degree? Environmental scientists develop strong scientific, mathematical, and analytical skills. You will need to be a good problem solver and take basic coursework in topics like biology, chemistry, statistics and geology. Many students will also pursue customized plans with electives such as Wildlife Management, Ichthyology, and Environmental Engineering and Planning. Some states and municipalities will require graduates to pass certain examinations before beginning their new careers, but internships and other work-related experiences are generally more desirable to potential employers. You will need to have extensive experience in the lab and field to be successful in your career. What are the best Environmental Science degrees? We have compiled a list of the 10 Best Online Bachelor’s in Environmental Science. Our ranking system first evaluates the overall quality of the program, which we determine based on factors like faculty expertise and student satisfaction. We know that career success is important to you, so we also give you an idea of the required courses and tuition rates. Our statistics evaluate acceptance rates, earning potential, online program quality, retention, and satisfaction – all of which culminate in a final program score. We know how passionate you are about the environment, so we work just as hard to ensure that you are matched with the school that will help you to succeed. This program, requiring 180 quarter credits, can be started at one of four convenient start times per year. It is the most military-friendly school on the list, offering a wide variety of support services and generous financial aid. Students can also pursue related certificates and minors in topics such as environmental policy, agriculture, and water resources. This 120-credit program is taught by current professionals in areas such as the U.S. Fish and Wildlife Service, the Nature Conservancy, and more. Students can complete their coursework entirely online, and even have access to a one-of-a-kind mobile application that allows them to complete assignments offline. This affordable program provides multiple financial aid options, including a credit for textbooks and extensive military assistance. This program enables graduates to make a difference in the health of the planet. With 120 credit hours required, graduates are prepared to work in a variety of fields, including agriculture, natural sciences, and conservation. Each student in this program earns the same elite degree they would receive on campus, benefiting from close attention by experienced faculty instructors. At the University of Alabama, students learn to succeed in the field of Environmental Science by choosing from a variety of classes that build upon a general curriculum. This degree is one of the most customizable on the list, and provides students with access to distinguished faculty members. These faculty also serve as student advisors, connecting students with tailored coursework and research opportunities. This award-winning program prepares students to plan, develop, and moderate all aspects of environmental management. It is taught by world-class faculty members who are currently employed at organizations like the U.S. Environmental Protection Agency and have extensive experience in the field. Online students receive access to an extensive library system, 24-hour technical support, and even online writing feedback and job search assistance. The Bachelor of Science in Environmental Science at Southern New Hampshire University is one of the most unique, giving students the ability to pursue the stand-alone degree or add a concentration in Natural Resources and Conservation or Geospatial Technologies. Students will engage in interdisciplinary coursework that is designed in conjunction with local companies and governmental agencies. This is one of the most technologically oriented programs, and also offers students the ability to network with relevant instructors and prominent alumni. 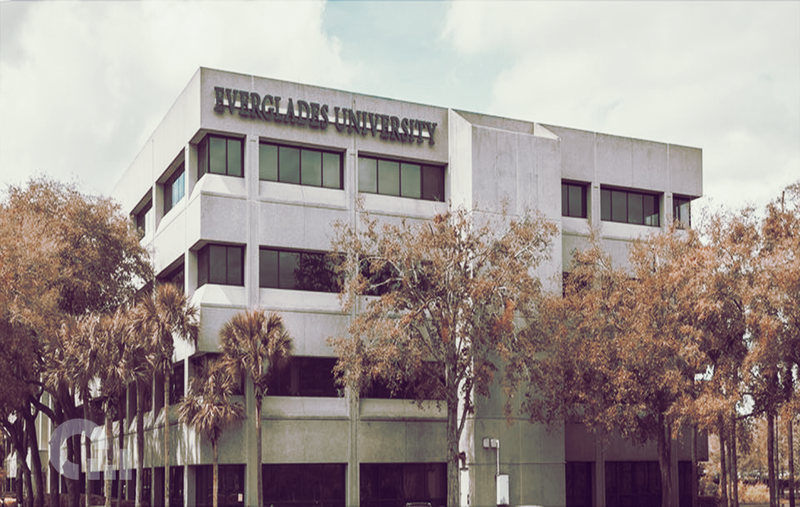 Everglades University – Tampa is a relatively fledging institution, but offers a program in Environmental Science that prepares students with the management and communication skills necessary to be successful in environmental planning. Students can create their plans of study to customize their career goals, with a whopping 21 credit hours available for interdisciplinary studies and electives. The school is less selective, with an acceptance rate over 74 percent. This natural sciences program is designed for working adults and offers one of the most flexible structures of all the schools on this list. Students work with award-winning faculty advisors and benefit from instructors who teach at institutions all around the world. The school offers affordable tuition and partners with various organizations to offer discounts on fees and other related costs of attendance. Ashford believes that Environmental Science students should be exposed to all aspects related to the environment, and as a result has created a program that covers topics like energy production, biology, and even ethics. Students will learn to incorporate and deal with all environmental factors as well as those related to socioeconomic and cultural dilemmas. Each student may tailor their degree by choosing up to 44 credits of diverse electives. This diverse program offers accelerated pathways to a Prescott master’s degree in environmental studies and sustainability, one of few colleges in the nation to do so. The program is heavy in liberal arts and develops profound ecological literacy in all students, giving them the ability to pursue careers in environmental law, planning, and more. All online programs are flexible, giving students the ability to complete all coursework remotely.